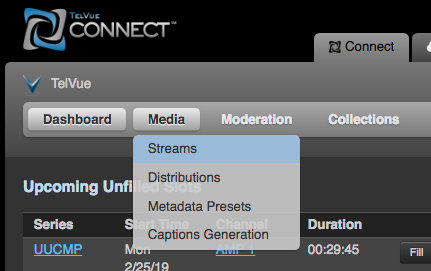 To add Live Streams to your CloudCast player, first add it to the Connect Media Library. Log in to TelVue Connect. Hover over the Media tab to expand the dropdown. Upload a custom thumbnail (optional). 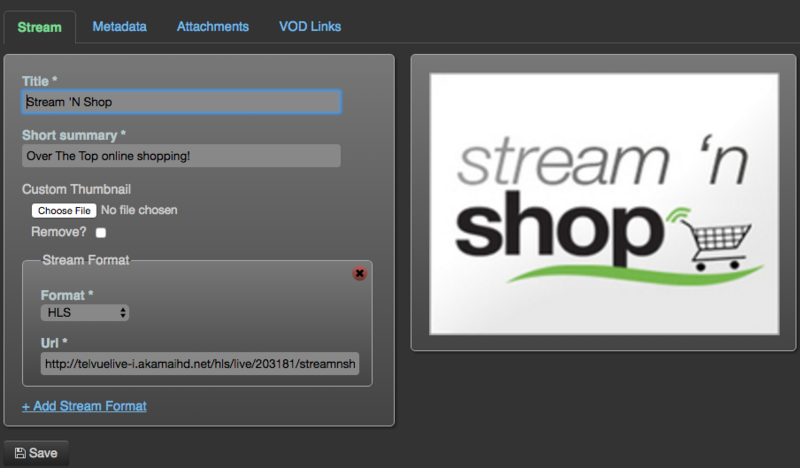 Enter stream format and URL, with option of choosing an alternate format, if available. If any of your streamed programming contains embedded 608 closed captions, click on the Metadata tab and check the Closed captioning checkbox. At the right of the stream name that you want to rename, click on the Edit icon. Edit the Title and Short Summary fields to your choosing. Repeat steps 4-6 for each stream that you want to rename.